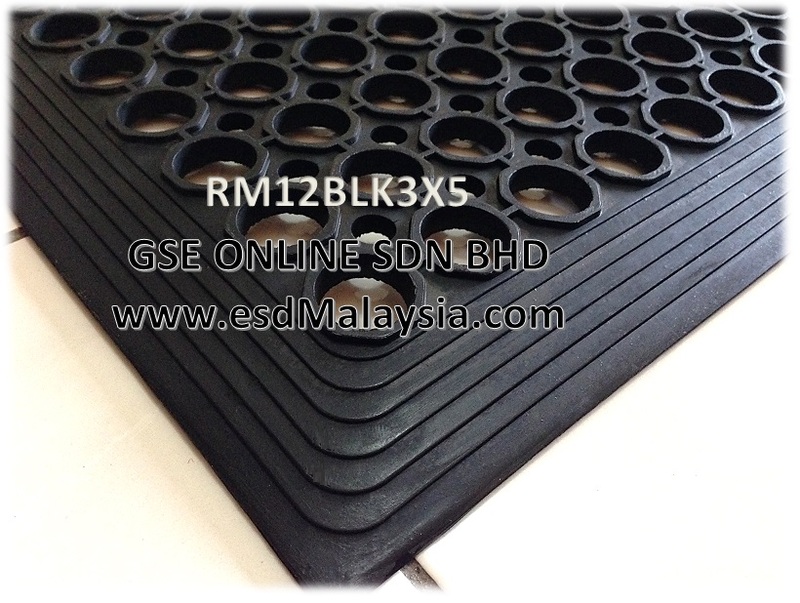 1) Well engineered high drainage cylindrical holes prevent residue , laboring germs and bacteria. 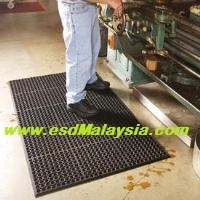 2) Slightly raised ribs on top greatly reduces the chance of slips and falls and resilient cushioned rubber provides fatigue relief for workers , helping increase productivity . 3) Moulded beveled edges on all four sides for trip resistance . 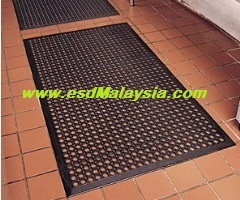 4) Ideal for factory areas like slippery or oily production or maintenance floor , wet kitchen , toilet / kitchen entrance , top of staircase , restaurant , areas require high water drainage etc . 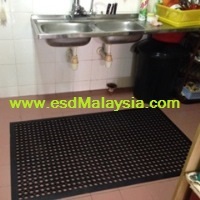 5) Ring Mats are water, grease, and oil proof for use in both wet and dry environments. 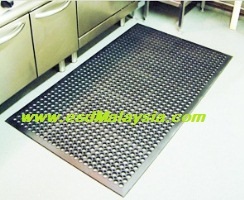 6) keeping workers' feet dry.